Mr Harsh Pati Singhania, aged 57, is a fourth-generation industrialist belonging to one of India’s largest industrial groups - J.K. Organisation. The Group’s business includes manufacturing of Paper & Boards, Cement, Automotive Tyres, Industrial Rubber Products, Agri products like Hybrid Seeds, Dairy Products, Aerospace & Defence and Textiles. In addition, the Group is into Health Care, Clinical Research, Education, Insurance, etc. The Group’s current turnover is over USD 4.00 billion and it employs over 30000 people including 6000 engineers and professionals. Mr Singhania is the Vice Chairman & Managing Director of JK Paper Ltd. and also oversees Group’s Dairy business, Aerospace, Defence & Security domain and other corporate activities. Besides, he also serves as Director on the Boards of JK Fenner (India) Ltd., Bhopal Udyog Ltd., Pulp & Paper Research Institute, Member on the Executive Committee of Federation of Indian Chambers of Commerce & Industry (FICCI), ICC (India), Indian Paper Manufacturing Association, Board of Governors of International Management Institute (IMI), JK Lakshmipat University, Pushpawati Singhania Research Institute for Liver, Renal & Digestive Diseases (PSRI), Central Pulp & Paper Research Institute. Mr Singhania is currently a Member on the Executive Board of International Chamber of Commerce (ICC), Paris and also serves as the Coordinator for the Regional Consultative Group of ICC for Asia Pacific Region and is a Member of ICC National Committee Quota Task Force. He is also a Member of India-China CEOs Forum, India-Myanmar Joint Trade and Investment Forum, India-Pakistan Joint Business Forum and ASEAN-India Business Council (AIBC). 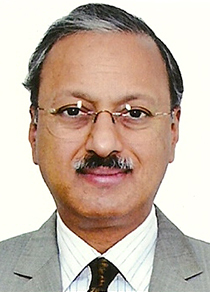 Mr Singhania has been at the helm of various industry associations, and a member of several expert groups/bodies. He was the President of India’s apex Chamber of Commerce, Federation of Indian Chambers of Commerce & Industry (FICCI - 2009) and International Chamber of Commerce (India) (ICCI - 2012-13). He has been the youngest ever President of Indian Paper Manufacturers Association (IPMA) (1994-2001). He served as Senior Vice President of PHD Chamber of Commerce & Industry (PHDCCI - 2007), Member of Regional Council of International Baccalaureate (2010-12), Indo-French CEOs Forum (2011-15), Board of Indo-British Partnership (2007-08), UK-India Business Leaders Climate Group (2010-14), Chairman of Young Presidents Organisation-Delhi (2004), Co-Chairman of Indo-Korea Joint Business Council (2004) and Indo-UAE Joint Business Council (2005). Mr Singhania also served on various bodies constituted by the Govt. of India - as Chairman of Development Council for Pulp, Paper and Allied Industries (2001-02; 2010-15). Was Member of Govt.-Industry Task Force (2011-14); National Integration Council (2009). Mr Singhania is an MBA from University of Massachusetts, USA and an alumnus of Harvard Business School. Mr. Singhania is married and has three sons. He is a keen Golfer, an avid reader, an auto aficionado and an admirer of the arts.